The application window for the next round (enrollment in 2020) will be announced in autumn 2019. Please make sure that you have read the JDTS APPLICATION FAQ before you apply for a place in the Joint Degree Master Program in Transcultural Studies or contact the JDTS coordination office (apply[a]cats.bun.kyoto-u.ac.jp). Application for admission (入学願書) to the Kyoto University Graduate School of Letters , including the examination voucher and photograph card , the “Evidence of Payment for Application Fees” , a return envelope , a filled-in address label , a Certificate of Residence (international students only) , and two copies of your B.A. thesis (or thesis abstract) . See also the general application information here. Transcript of academic records of your B.A. . Degree certificate of your B.A. . Completely filled out and signed “Application Form for the Joint Degree Master Program in Transcultural Studies” [10-I]. Certified copies of language certificates (English plus two additional languages) [10-II]. Letter of motivation (in English; min. 800, max. 1.000 words), accompanied by a formal statement confirming that you wrote the letter of motivation by yourself without the help of others and that you have properly indicated the use of all ideas from additional sources [10-III]. Certified/official English translation or certified copy of the degree certificate of your B.A. (and M.A./M. Phil if applicable) [10-IV]. Certified/official English translation or certified transcript of academic records of your B.A. (and M.A. / M. Phil if applicable) [10-V]. Note to international applicants: Please address questions concerning items  to  to the Graduate School and Faculty of Letters Student Affairs Office. Further, indicate your intention to the Student Affairs Office no later than November 15, 2018. The office will check your eligibility and then send you the Application for Admission form . Especially, if you are outside Japan during application, please contact the office prior to submission concerning items  to . Students from the Republic of China, Hongkong, and Taiwan have to make their inquiries via the Admissions Assistance Office, AAO. Clearly fill out all required items, such as desired division, desired department, desired research subject and related matters, in the designated form. Make sure to indicate your wish to apply for the JDTS on the top of the second page (国際連携文化越境専攻志望の有無: circle “有”). Fill out all required items in the designated examination voucher forms, and paste onto each form a front-on, head-and-shoulders photograph of yourself (without head covering) taken within three months before the date of filing of the application (photo size: 4 cm high x 3 cm wide). [10-IV] [10-V] Applicants for the JD Transcultural Studies must hold a B.A. or equivalent in a discipline of the humanities, cultural or social sciences with an above average grade. If you provide   in English, there is no need to provide additional copies for [10-IV] [10-V]. Instead, add a sheet saying you provided   in English to the JDTS application documents. If   are in Japanese, you need to provide [10-IV] [10-V] in English separately. Make the payment of the application fee using the “Payment Request Form,” paste the “Evidence of Payment for Application Fees” on the “Form for Affixing Evidence of Payment for Application Fees,” and submit the completed form. Fee: ¥30.000, transfer period is between December 6 and 20, 2018. International students transfer the fee via internet payment after consultation with the Student Affairs Office. A self-addressed envelope for the return of the examination voucher (affix a ¥362 Japanese postage stamp) and the address label for sending the examination results. International students applying from abroad do not need to affix a stamp to the envelope but should contact the Student Affairs Office. 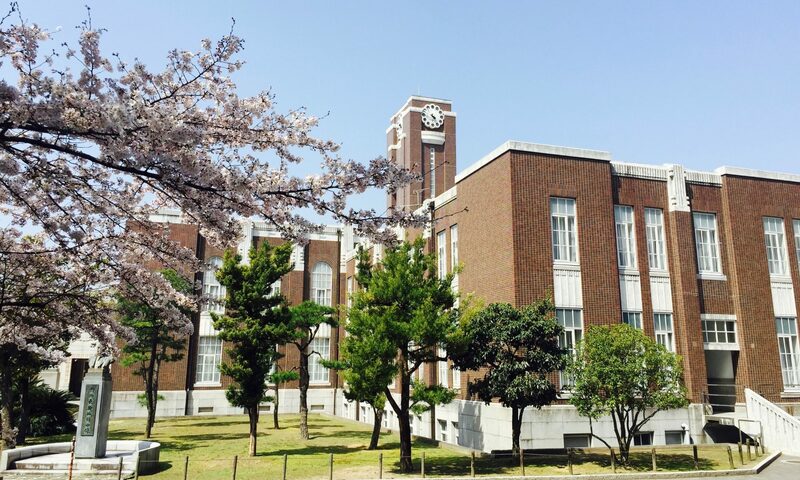 The voucher will be sent to you via EMS and you are asked to reimburse Kyoto University on the day of the entrance examination. An international student should submit a Certificate of Residence issued by the mayor of their city, ward, town or village of residence (or a copy of each side of their residence card). Place the B.A. thesis to be submitted in an envelope and paste onto the envelope a designated seal with the required items filled out. For the required written content, refer to the descriptions for the respective departments. You need to apply for one of the following five departments and pass the respective examination: Philology and Literature, Philosophy, History, Behavioral Studies, or Contemporary Culture. The submission time frame for the thesis is January 4 to 8, 2019. [10-I] Please download the application form here, fill out all required items (you may do so by hand or a computer, the latter is preferred), sign the form and place it with the other  documents into a separate envelope. Alternatively, a certificate from your university’s language department stating your proficiency level of at least C1 according to CEFRL will also be accepted. Language certificates should not be older than four years. A certificate for one’s first mother tongue is not required. If your certified English language proficiency was below 100 TOEFL iBT (or 7.0 in the IELTS; or equivalent) upon enrollment in Kyoto, you must pass the course “Advanced Skills for Humanities Research in English” before you go to Heidelberg (or provide a certificate of proficiency of at least 100 iBT or equivalent). [10-III] The letter of motivation must convincingly explain the specific motivation to apply for the Joint Degree Master of Arts in Transcultural Studies based upon the applicant’s thematic and regional areas of interest. How do your interests relate to the program’s contents and aims? What study focus would (KBR, SEG, VMC) you like to choose and why? In addition, the letter must detail the language and methodological qualifications of the applicant that will equip them for the program. How do you want to build on and possibly expand these qualifications in your studies? What do you seek to gain from studying at the respective partner, Heidelberg or Kyoto? For further information please refer to the JDTS APPLICATION FAQ!